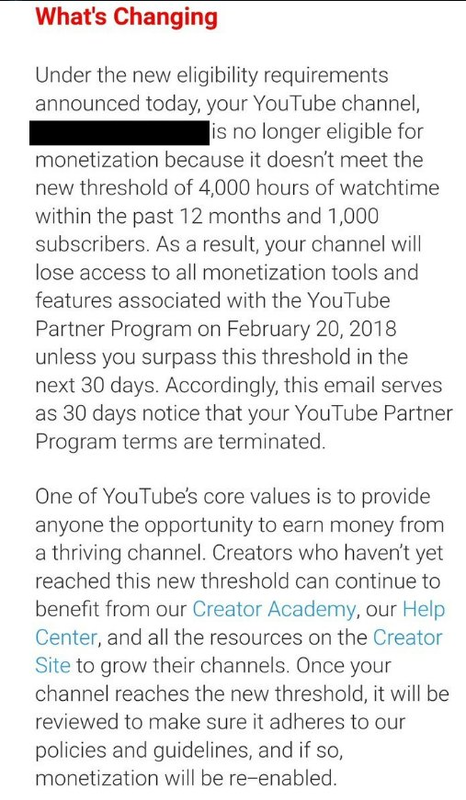 Youtube announced this week that it will be demonetizing all accounts which do not meet a certain threshold in followers. However, having a small channel does not make someone a “bad actor,” in fact, some of the worst and most inappropriate content has come from the whales of YouTube, not the little fish. It is also important to mention that with this new policy, if a smaller channel has a video go viral overnight, and suddenly reaches the threshold, they may not be able to monetize this potentially once in a lifetime opportunity. This certainly ends up helping YouTube and hurting independent media. But this should be expected. The moderators, who are referred to as YouTube’s “Trusted Flaggers,” are charged with flagging inappropriate content and reporting the users who are violating the platform’s policies. However, they claim that in many cases, the accounts they report face no consequences. These accounts have millions of subscribers and these videos have hundreds of millions of views, and many of them would be unaffected by this change. Many smaller YouTubers are placing the blame on the likes of Logan Paul or PewDiePie who have made headlines with insensitive and racist material. Although, whales like PewDiePie have no problems with the new rules, as it wipes out some of their competition. “Dear YouTube creator, because Logan Paul pissed off our advertisers, we’re demonetizing your channel until you reach new standards that, according to our metrics, you’ve already reached. As annoying as it is, that THIS is YouTube's response to the Logan Paul thing. Or at least it seems like it. I'm with you, it shouldn't be an issue to not to monetize before you hit these numbers.